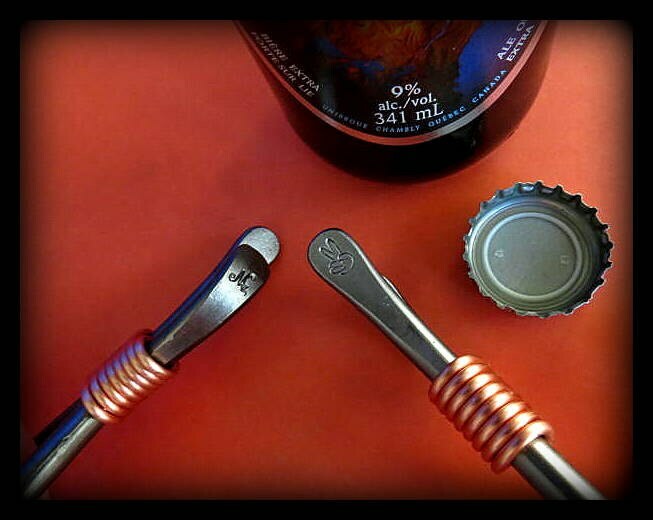 They will be surprised to see their initials stamped in the metal. 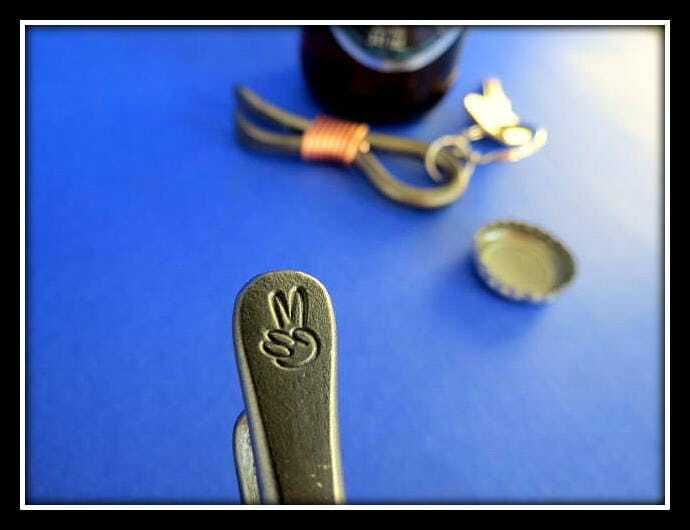 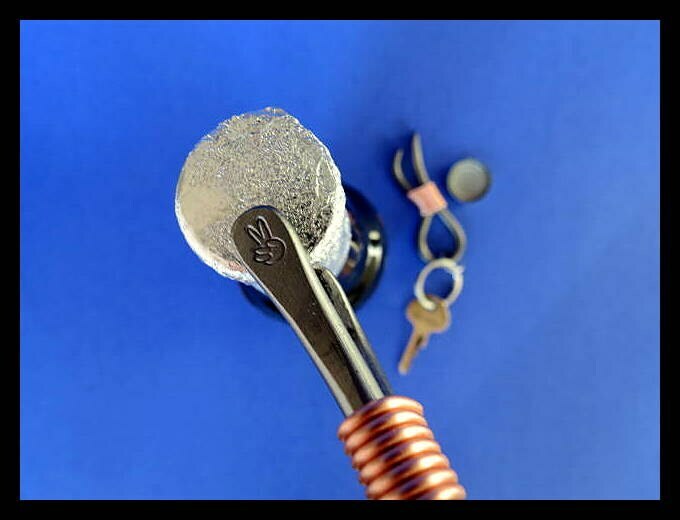 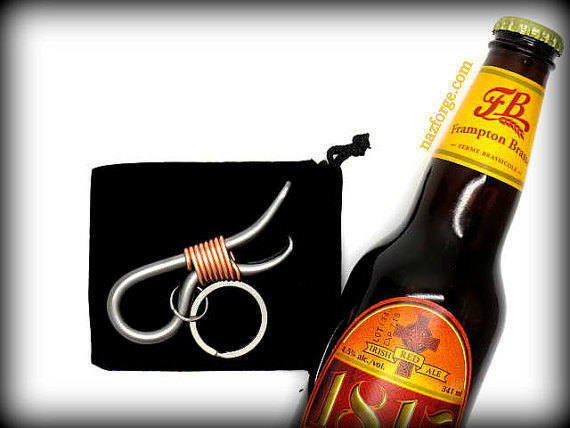 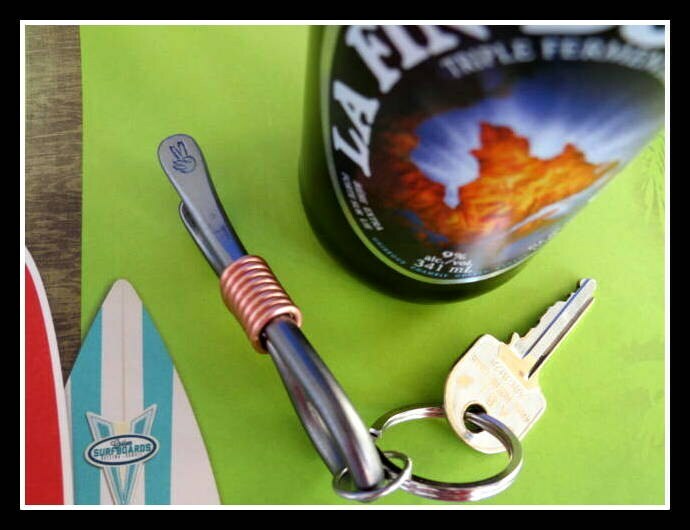 (The 4th photo shows the top and bottom of the keychain bottle opener. 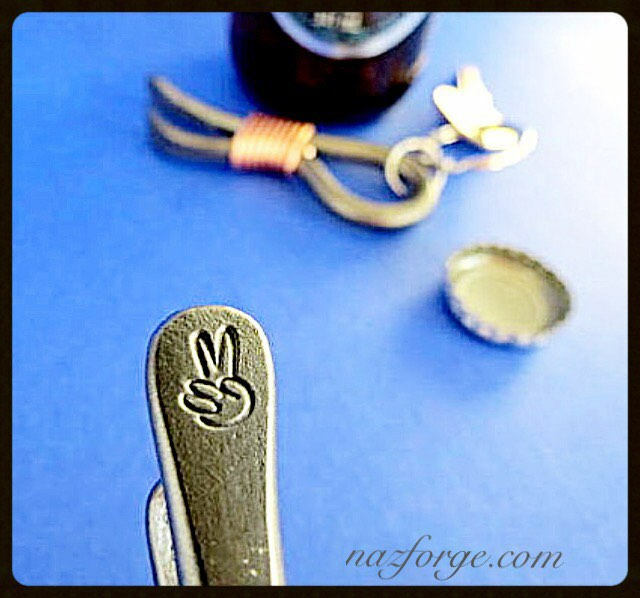 If you choose the personalized option, the personalization of your choice (up to 4 letters or numbers) will be stamped on top along with the two finger peace sign and my logo signature "Naz" at the bottom).